The future of Greece in Europe and the future of a more united and inclusive Europe is now on the table after the Greek vote “NO” to austerity. The decisions that will be made in the next few days will shape the direction, strength and support for a united Europe for decades. With the vote in Greece this Sunday, the people of this much punished nation, due largely to imposed outside austerity from its creditors, have clearly spoken democratically against the continued impoverishment of their nation by demands that are in reality impossible. The vote was NOT a vote to leave the Euro or the EU but a desire to have a fair chance to live in dignity and not experience further economic decline. How the Greek government will respond is still obscure but they are calling for new negotiations based on a realistic package of debt reduction in some form. This will likely entail some reforms that have been demanded, and some room to institute growth in the economy. Yes, it is time for serious thought and analysis. The time has come for a new serious dialogue between Greece and European leaders. The stakes are larger than just a country with 2% of EU GDP, it has to do with the need for Europe to care for all its people. It is also key for democratic institutions to be strong. Citizens want to be cared for by their governments and for opportunity which austerity does not permit. What is also at work is the long term security of Europe as a strong entity that can deal effectively with the many challenges it now faces including keeping its nations secure against external pressure and aggression. Even now Putin is taking advantage of the disunity and bad decisions by the Euro Zone leaders and the ECB. It shows that he sees an opening to divide Europe. There are many ways for there to be an agreement between Greece and the EU/Euro Zone and ECB. Greece can’t pay the debt that is owed — even the IMF experts agree on that. The EU and the Euro Zone will both be stronger if the final deal permits real growth and some degree of future prosperity for Greece. Both sides need to make compromises. Such an approach is doable and the best option for all. I think we have a historic moment to act with a helping hand and constructive reform, not destructive “reforms” by the right wing wrongheaded leaders that see only “punishment” as a solution. We should not forget the lessons of the sanctions after WW I on Germany and its results in Hitler, and the different response of the Marshall Plan after WW II, which made possible the unity and peace we see today. 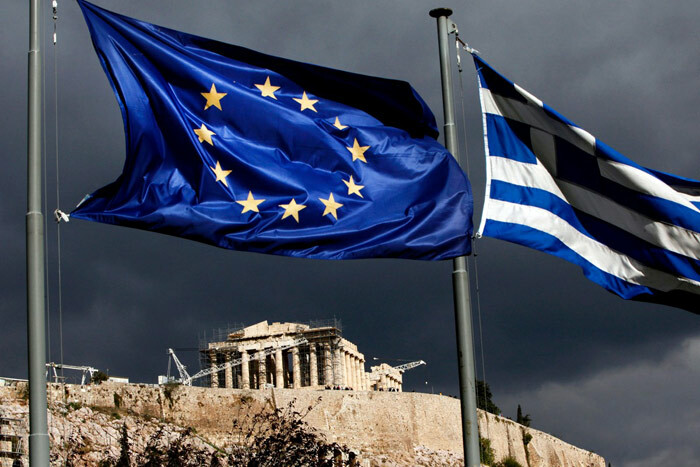 We have a moment to make the right decisions and I hope both sides now will act in that spirit, not with the nasty and negative views that only too often have been destructive, Germany, in particular, seems to want to see Greece outside the Euro and perhaps the EU. An inclusive Europe, dealing with its difficulties constructively is needed.